Especially during winter skin gets dry on both the face and the body, but also the hands need special care during this time. Because the hands are constantly in contact with water, they often feel very rough. In addition, they are constantly exposed to light and environmental influences and the danger of excessive pigmentation increases. Unfortunately, this often causes ugly pigments or age spots. Take time for a special type of hand treatment once in a while. Clean your hands with a mild soap, such as for example the especially gentle, antiseptic-looking liquid soap by Aleppo which is enriched with fine Laurel oil. This soap is also suitable for hypo-allergenic skin. It is important that you try your hands thoroughly; otherwise, too much moisture can evaporate! A Burt's Bees peeling (Cranberry & Pomegranate Sugar Scrub) gives your hands soft skin and a pleasant sweet fragrance. Apply the peeling to the entire back of the hand and the inside of the fingers. Use a soft face brush so that the grinding particles loosen dead skin cells from the epidermis. If you have no face brush at hand, massage the peeling simply with your fingers. Then the hands must be thoroughly washed and well dried, also keep clear wrap/film handy. (Every household keeps those in the kitchen). 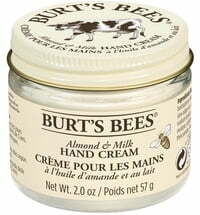 Your hand cream, such as Burt's Bees hand cream with almond, milk, and beeswax, is now converted to a nourishing hand mask. It treats the hands thanks to its rich consistency. Apply a thick layer of cream to your hands, then wrap with cling wrap. If you have mittens on hand, you can use those. Otherwise, a pre-warmed towel will work just as well. Through the heat, the “mask" can absorb particularly well and it acts as a catalyst that provides for the skin optimally. 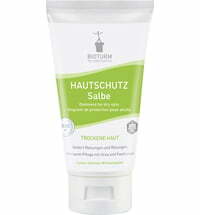 Leave on the hand cream for at least 10 minutes; remove the film and the remains of the hand cream with a cloth. How does your skin feel now? Certainly, after this success, you will take some time here and there to achieve soft and supple hands again. Ecco Verde - "Trusted Shops" certified! What kind of skin do I actually have?